“Chrysalis” is the name chosen for the youth and young adult version of The Walk to Emmaus because it symbolizes the spiritual growth that is essential between adolescence and adulthood. 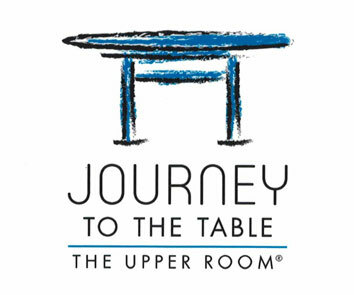 Journey is a 3-day spiritual renewal time for young adults between the ages 19-26. It provides an opportunity for you to learn more about faith, to experience Christian love and support, and to make new faith commitments. You will feel love like you have never felt before and you will have a terrific time learning about walking as a Christian. Come join us! Once you have been on the Journey, then it’s your turn. It is also an amazing experience to serve on a Journey team. If you are interested, click the volunteer button below to fill out a volunteer form. You can help in the kitchen, agape, or several other areas. You can also be a sponsor for someone else. It is a great way to share the love you experienced. You can also sign up to pray! Just click the button below and fill in the requested information. We Need Your Help on the Journey Teams! We need community participation in our Journey Teams. We are having difficulty finding people who are interested in serving on a team for our youth. We need your help in ministering to the young people of our area. There is a place for you! If you would be willing to help, please fill out the online volunteer form. Can your reunion group or class make Agape? Remember what an awesome feeling you got when you found agape on your table and bed. If you would like to bless a group for one of the next flights, please contact Joya Cole at 931-644-9594 or Louise Owen at 615-684-7032. Do you know Interpretive Dance Teams that would be willing to volunteer as entertainment for Journey events? We can always use new talent for the upcoming flights. Teams would need to be young men and women who have preciously attended a Chrysalis or Journey Flight. If you have a suggestion please contact Marsha Dillard at 931-787-0787. Can you help us? New banners are always appreciated and we would love to have more of them. If you are gifted in this area and would like to help with this need, please contact Gabe Colwell at 615-812-5954 or Shaun Collins at 615-440-6324 for more details. Thanks!